Local jazz great, Bobby Floyd, will perform this Tuesday, September 28th at the Park Street Tavern Jazz Jam. Bobby will perform along with Pete Mills, Andy Woodson, and Cedric Easton. The show starts at 8:30pm and the jam session will follow. Musicians are always encouraged to bring their instruments to join in the jam. There is no cover charge. 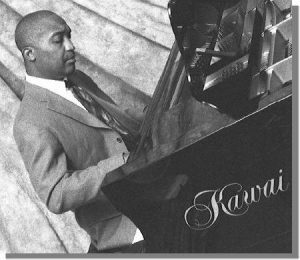 The passion with which Bobby Floyd plays piano, organ and keyboards are the result of his natural ability discovered at the age of two, his love of music, and years of practice. Whether performing jazz or gospel, as a soloist, with a trio or big band, his feel is unique and inspirational leading him to many distinguished appearances around the world. Bobby has performed extensively in the U.S., Canada, Europe and Japan. Touring events include major jazz festivals, concert halls, and numerous night clubs with Ray Charles, Jeff Tyzik, Chris Howes and Sarah Morrow. The prestige associated with Floyd’s international appearances can also be witnessed at home. In his hometown, Columbus, Ohio, Bobby has been a feature with the Columbus Jazz Orchestra, The Columbus Symphony, and ProMusica Chamber Orchestra sharing the stage with Dionne Warwick, Doc Severinson, Artural Sandaval, Faye Robinson and many others. He has also appeared in a variety of performances opening for Spyro Gyra, Smokey Robinson, Stanley Clark and George Duke, as well as accompanying other artists like David “Fathead” Newman, Bobby Watson, Greg Osby and Billy Hart. Bobby has completed three recordings: Interpretations, Setting the Standards, and Floyd’s Finest Gift. His next project, soon to be released, is a live performance recorded in Spain. Other accomplishments include recording and composing on several of Vince Andrews’ and Chris Howes’ projects. Bobby Floyd File Photo He has also recorded with Gerald Levert (“Groove On”) and Faye Robinson (“Remembering Marian Anderson”). Additionally, he is featured on a Rusty Bryant album, Rusty Rides Again, which received five stars in Downbeat magazine.